The Twins need bullpen help, but is there any relief in sight? To combat the problem so far, the Twins have largely served up uninspired choices. So what's the state of their other options in the minor leagues? 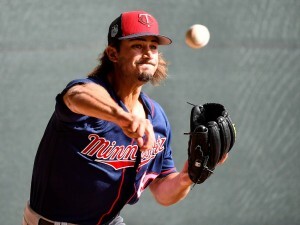 The Twins have a bullpen problem. Some of it is temporary, owing to Sunday’s 15-inning marathon that left even the more trustworthy relievers depleted. Enough of those pitchers will get enough rest at some point to be effective again. It won’t be easy considering the Twins only have two off days between now and the All-Star break and also have two doubleheaders in that span. But a 15-inning game is a unique circumstance. Much of the bullpen problem, though, boils down to a lack of depth — and really, if we’re being honest, a that means a lack of quality arms. Closer Brandon Kintzler had been very good before Sunday’s blown save. Tyler Duffey has excelled. Taylor Rogers has been pretty good. Craig Breslow had been, too, until Monday. None of those guys has a long enough track record to make you think their relative success is guaranteed to continue. And after them, the bullpen has been a mess. Losing Trevor May for the season didn’t help. The struggles of free agent pickup Matt Belisle and workhorse Ryan Pressly haven’t helped. It adds up to a bullpen ERA of 4.90 — a number inflated by Monday’s brutal 11-run eighth and three-run ninth — but runs are runs. The Twins are now 27th in MLB in bullpen ERA. To combat the problem so far, the Twins have largely served up uninspired choices: claiming Adam Wilk from the Mets and bringing up the likes of Drew Rucinski, Buddy Boshers and Jason Wheeler. If you’re a Twins fan who has been hearing for more than a year about the bullpen cavalry of hard throwers from the minor leagues coming to save the day soon, you might be wondering where the heck these guys are. And that might be the most troubling part of all. J.T. Chargois (pictured), who showed promise late last year with the Twins, had a rough spring and pitched in only two games for Class AAA Rochester before going on the disabled list with elbow problems. He hasn’t pitched in more than a month. Nick Burdi, a hard thrower who was dominating at Class AA Chattanooga and might have been an option to help, learned this week that he has a torn UCL and will need Tommy John surgery. Mason Melotakis is a hard-throwing lefty who is doing well at Chattanooga, but he’ll be 26 next month and isn’t quite the prospect he once was. Other bullpen pitchers off to strong starts at either Rochester or Chattanooga like Alan Busenitz or Nik Turley are similarly older and don’t have track records suggesting their hot starts are necessarily sustainable. Rucinski, who has struggled with the Twins, had a 2.95 ERA and more than a strikeout per nine innings at Rochester. Making the jump is hard. The Twins will probably have no choice but to give some of those guys a shot if the bullpen continues to be overworked and ineffective. But when it comes to surefire help … well, I’m not telling you there’s no relief in sight, but the options aren’t as great as you (or the Twins) might have hoped. So really, what is the Timberwolves' plan at point guard?